Cc: "[ontolog-forum]" <ontolog-forum@xxxxxxxxxxxxxxxx>; "Ivan Herman"
<ivan@xxxxxx>; "Juan Sequeda" <juanfederico@xxxxxxxxx>; "SW-forum list"
> as subsets:  RDF, RDF-S, Rule RIF, OWL, and SPARQL. > unifies them is the common model-theoretic semantics. > shared data and produce consistent results. 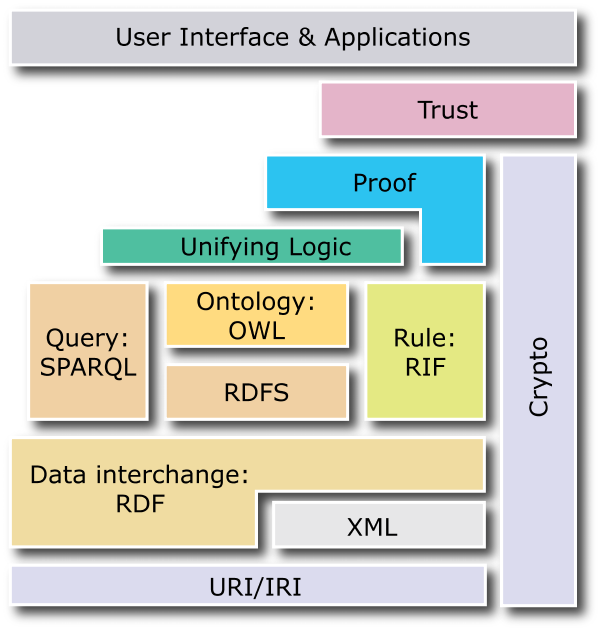 > RDF, RDF-S, Rule RIF, OWL, and SPARQL.